Brewery Becker is very proud that it makes its very own artisan beers on site. However, not only do they make them there but you are also given the opportunity to taste them as well, which is certainly a huge bonus. The venue is open 7 days a week and you also have the opportunity to hire their venue for your own event as well. Furthermore, you will also see that there are different classes held at the brewery throughout the week, so there is always something going on for you to check out. These needs include the likes of yoga and even an Open Mic night, so if you want to just relax, have a beer and listen to some of the local talent, then this is always going to be a possibility. Brewery Becker also provides food, and while we are not talking about the highest quality, there is no doubt that it is edible and the portions are pretty good. Also, the atmosphere is always jumping, so if you are looking for somewhere that is exceptionally quiet, then this is not the place for you. 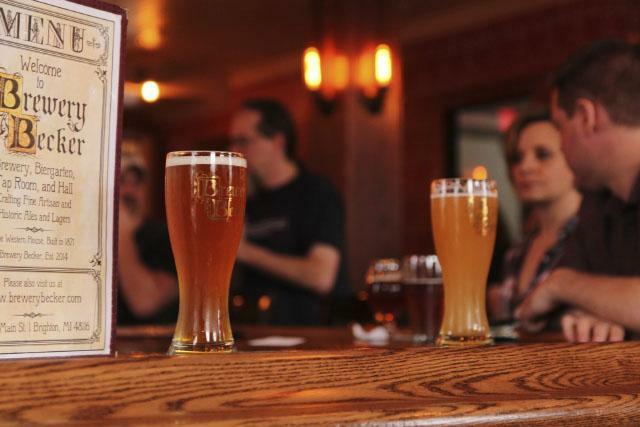 The Michigan brewery is proud of the fact that it also produces its very own gluten-free beer. The entire place is also family friendly and that is an actual sign of what they are trying to achieve with their business. The place opens at noon on the weekend and at 3pm during the week. Furthermore, the closing times also vary with it closing at 10pm on Sunday and Monday, 11pm to Tuesday through to Thursday, and then 1am on both Friday and Saturday. In other words, you are going to have ample time to get together with your friends and soak up not only the general atmosphere, but some of their hand-crafted ale that is on offer. Ultimately, Brewery Becker a seriously cool place to check out that also has an amazing vine about it. This is one of those venues where you can go with any of your friends and just enjoy the time together and with so many things to do, this could easily become one of your favorite places in Brighton, MI.